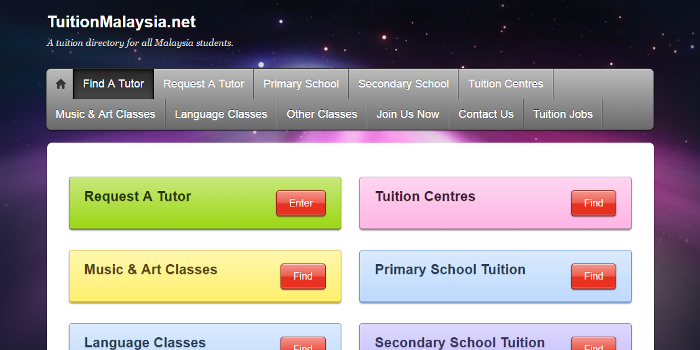 An online directory for tuition classes (primary & secondary school tuition) & special interest classes (music, art, language etc.) in Malaysia. A professional debt collector in Kuala Lumpur which provides top notch service in debt recovery for your company. Unox Solutions offers complete IT infrastructure solutions, ICT services and consultancy. Our products include servers, network, security and backup solutions. We can be your partner in software development, web solutions and IT management. Established in 1996, AMS started its root in Singapore with the registration of Asia Metal Solutions Pte Ltd (AMS Singapore). We supply aluminum rods & bars, coils & sheets to our customers in various industries. Ergomarks Integrated Sdn Bhd is the exclusive distributor of kidsmaster brand in Malaysia. We provide the best kids ergonomic solution for your kid’s posture. Hanventure – I.T. Management Consulting firm & leading advisor on business strategy. We partner with clients in all sectors & regions to identify their highest-value opportunities, address their most critical challenges, & transform their businesses. Something For You and Your Baby.